Why not hit Backwoods Maze, Fear House, Spider-Lights, and Rotten Apple 907 all in one night? Trying to do as much as possible in the remaining days of October is the name of the game; planning is essential. If you have a must-see Halloween haunt on your list of things to do, you might as well see everything else nearby. And guess what? We're here to help! This is the first in a series of Recommended Halloween Haunt Tours that will enable you to squeeze the most screams possible out of the remaining season. A. Spider-Lights at 806 Catalina St Burbank, CA 91505. Start with this decorated front yard; it's mild but cute, safe for the kids, putting you in the Halloween mood before you encounter the more terrifying treats ahead. 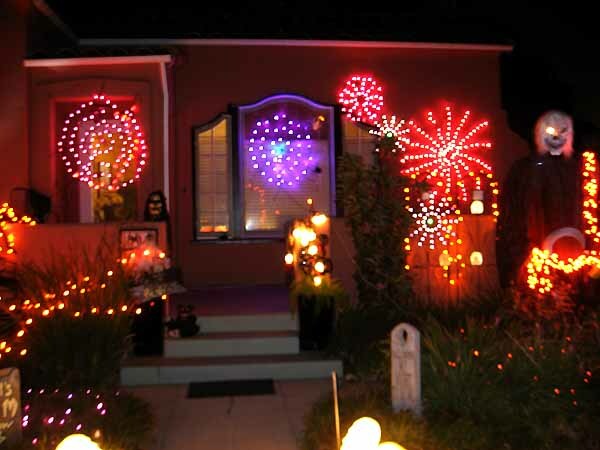 Full lights and display can be seen on October 26, 27 & 31; candy is handed out on Halloween Night only. B. Rotten Apple 907's Haunted Wilsley Manor at 907 N. California Street Burbank, CA 91505. Wilsley Manor I was a highlight of Halloween 2012, so expect great things this year. Rotten Apple 907 offers a full-blown walk-through attraction on par with professional Halloween events in Los Angeles. Expect to wait in line, and expect the haunt to be worth the wait. C. Fear House at the corner of Ontario Street and Chandler Boulevard in Burbank. Known as Fear Family Hospital in 2012, this front yard walk-through offers goofy fun as the host takes you on a tour of his scary props (e.g., a guillotine). This one is supposed to be open on the 25th, 31rd, and probably the 26th (the notice outside the location lists October 25 twice; presumably the second date is supposed to be October 26). D. The Backwoods Maze Yard Haunt at 1912 North Pepper Street Burbank, CA 91505. 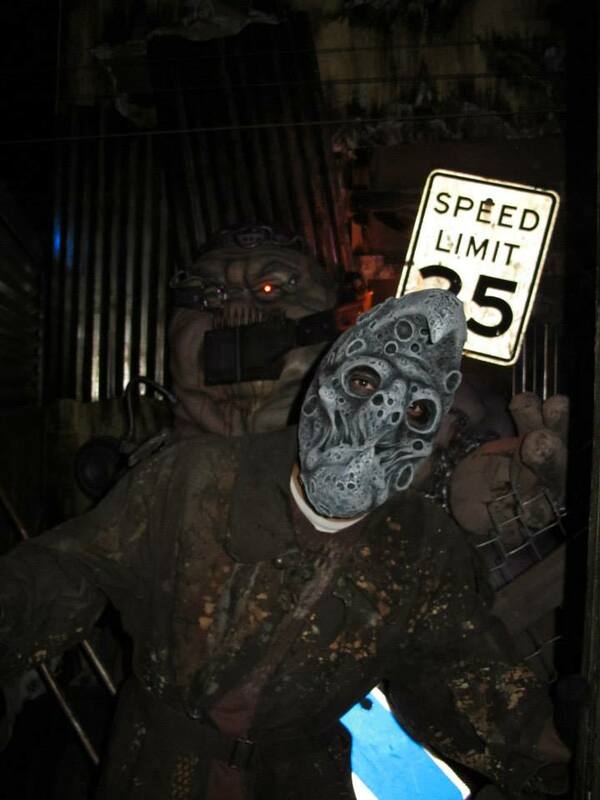 This is probably the scariest amateur Halloween event in Los Angeles - a terrifying tour through a back yard maze of incredible length and detail, offering a multitude of sets, props, and monsters - all of such professional quality that this rivals mazes at Knotts Scary Farm, such as Uncle Willy's Slaughterhouse. All four yard haunts are located within two-and-a-half miles of each other, and it takes only six minutes of drive-time to get to all of them (waiting in line at the haunts themselves, of course, is another matter). These haunts will be in operation this weekend and on Halloween Night. If you want to save October 31 for local trick-or-treating, your best best to catch all four is probably Friday, October 25, but Saturday the 26th should works as well (see note about Fear House above). Note: If you have leftover time, you might consider the fifteen minute drive to Sherman Oaks to enjoy the Boney Island Yard Haunt. You can find driving directions on Mapquest. 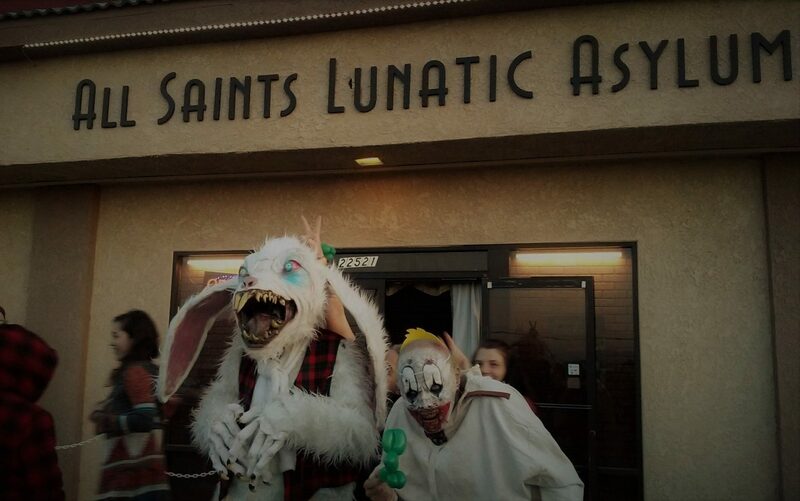 Find more Halloween Yard Haunts in Los Angeles here.